Your ring is stuck on your finger ? You can’t remove your beautiful ring ? Your finger swells ? 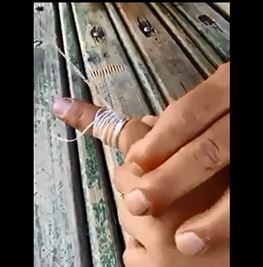 You hold your finger and your ring ? 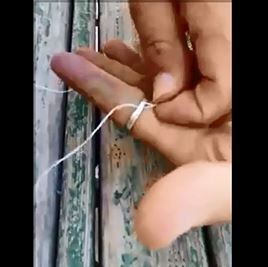 You want to gently remove without damaging your finger or your ring? Forget the soap, petroleum jelly or other viscous substance. Why ? Because you will necessarily put it on the ring and your fingers will slip on the ring and will not be able to grab it ! Here is the clever solution that must be followed step by step ! Run a wire under the ring stuck. Bend the finger on which the ring is stuck to the middle of the second phalanx. There make a node. The idea of ​​the trick is to flatten the tissue. The compression made ​​by the wire will reduce the volume of the swollen finger. Following the tip is a cinch. pull on the end of the wire that you had passed under the ring, spiral will form and push the ring without any effort. The ring will turn herself to the end of your finger in delicacy ! Definitely ID -Box is really the realm of tricks ! Above all, do not feel guilty because it can happen to everyone. The fingers may swell due to a change in blood pressure, a change in temperature ( cold or heat can cause swollen fingers) or poor blood circulation. How do you find this tip ? Tell us please in comment. Never forget to be SMART !